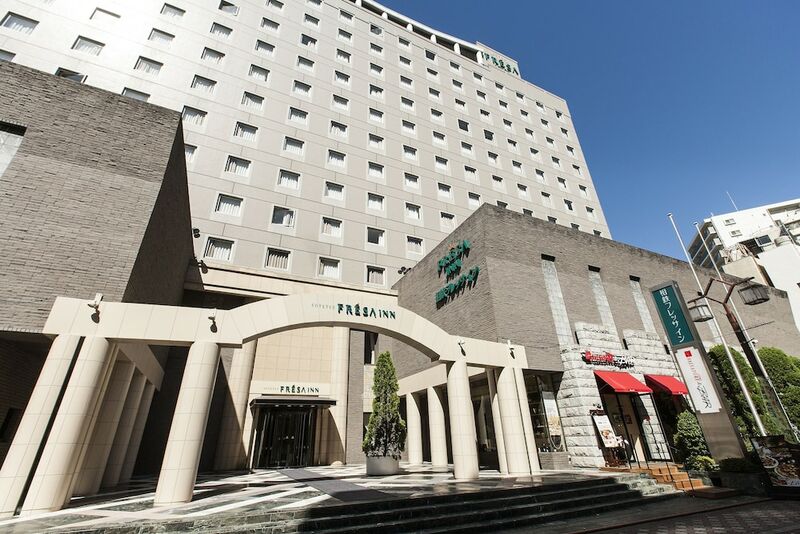 Located in Kamata, this hotel is 1.2 mi (1.9 km) from Tokyo Bay and 2.5 mi (4.1 km) from Shinagawa Aquarium. Tokyo Institute of Technology and Sengakuji Temple are also within 6 mi (10 km). Tokyo Kamata Station is only a 3-minute walk and Tokyo Keikyu Kamata Station is 7 minutes. Along with a restaurant, this smoke-free hotel has a bar/lounge and self parking. WiFi in public areas is free. Additionally, dry cleaning, laundry facilities, and a 24-hour front desk are onsite. All 221 rooms provide free WiFi and free wired Internet, flat-screen TVs with digital channels, and conveniences like refrigerators and electric kettles. Other amenities available to guests include hair dryers, desks, and free toiletries. The hotel offers a restaurant. A bar/lounge is on site where guests can unwind with a drink. A computer station is located on site and wireless Internet access is complimentary. This business-friendly hotel also offers a vending machine, complimentary newspapers in the lobby, and laundry facilities. Onsite parking is available (surcharge). Sotetsu Fresa Inn Tokyo-Kamata is a smoke-free property. Sotetsu Fresa Inn Tokyo-Kamata has a restaurant on site. The Japanese Ministry of Health, Labour, and Welfare requires all international visitors to submit their passport number and nationality when registering at any lodging facility (inns, hotels, motels, etc. ). Additionally, lodging proprietors are required to photocopy passports for all registering guests and keep the photocopy on file. Parking height restrictions apply.